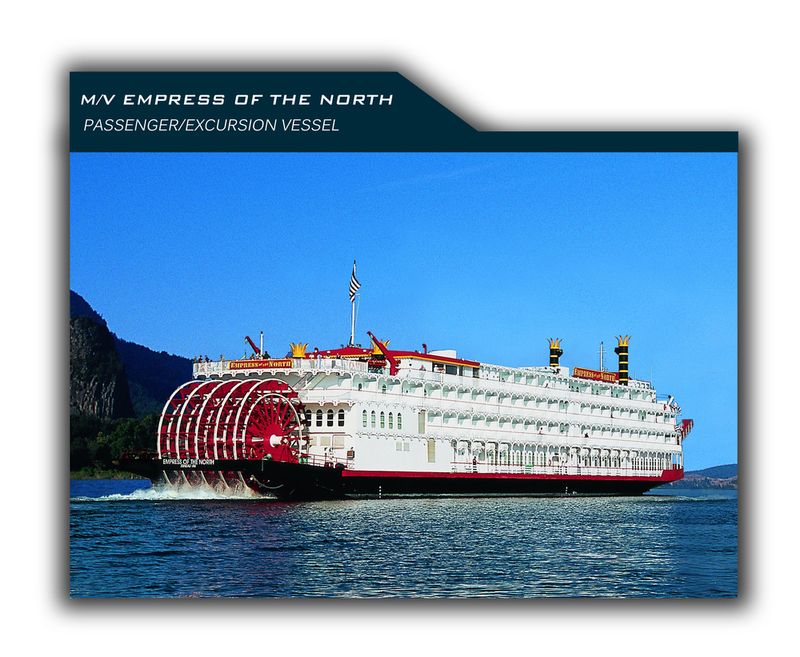 GPA provided the unique design for the M/V Empress of the North, a 109-meter sternwheel overnight excursion vessel for American West Steamboat Company. Now owned by Majestic America Line, the vessel was built by Nichols Brothers Boat Builders in 2002 and now serves Alaska, the Pacific Northwest and the Columbia River. The coastal paddlewheel vessel is ABS classed, SOLAS certified and USCG inspected. The integrated diesel-electric propulsion provides DC electric power to two 2,000 HP propulsion motors driving 360º azimuthing twin propeller Z-Drives, one 1,000 HP paddlewheel motor operating through a right angle reduction gear and one 1,000 HP motor for the pump jet bow thruster.